This 200 watt LED flood light fixtures Ultra Slim Style emits a wide 120° beam angle of natural white illumination for landscape lighting, parking lot lighting, tree uplighting, flagpole lighting, and architectural wall washing. 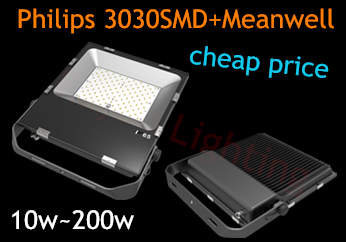 Using 200 Philips 3030 LEDs up to 120Lm/W, the powerful flood light emits 26000 lumens for ample outdoor illumination. Consuming only 200 watts of power, this energy-efficient LED flood light fixture replaces 600 watt metal-halide (MH) lights and 2000 watt incandescent fixtures with comparable output. The weatherproof LED fixture is constructed of heavy-duty die cast aluminum with an integral heat sink and a tempered glass lens. 270° An adjustable mounting bracket allows you to direct illumination where it's needed,IP65 Weatherproof Rating. The LED flood light operates within a wide 90-277V AC range and is designed to last 50,000 hours—5 times longer than HID fixtures.With Garden and Landscape Lighting, Tree Uplighting,Statue and Monument Lighting,Architectural Wall Washing Facade Lighting,Flagpole Lighting,Tunnel Lighting,Large Sign Illumination. For more led flood light, please kindly write us by email directly to info@rayoulighting.com,thanks a lot! Wanna discuss online?Follow us on skype ID: tyjefffery,your invitations are welcome always! checking point,mining area,exhibition building and so on.